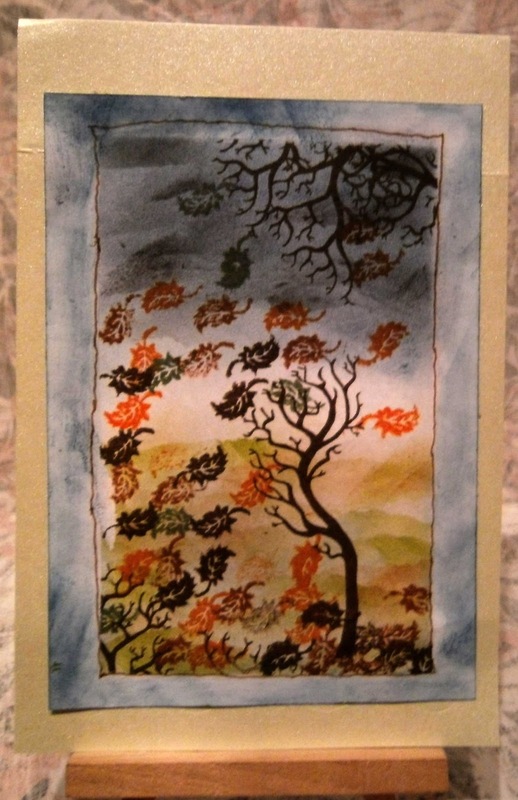 I have a mid-week post to show you a couple of email entries for the Troubled Skies challenge. These come from our friend Margaret in Yorkshire, who often joins our challenges but doesn't have a blog where she can attach her entries. 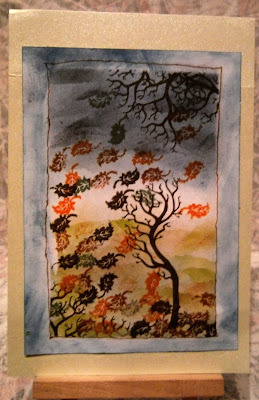 For Gale Force Wind, I used Clarity’s “Split Tree” stamp and a leaf stamp from Cart-Us. 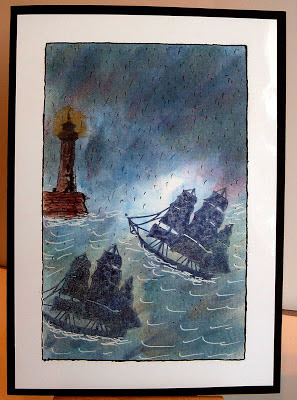 I created the Lighthouse card using Adirondack ink pads in various colours with sponges. The ships are Clarity’s “Galleon” stamp and the lighthouse is from Stamps Away. As there was no land to stand it on, I used a wishing well stamp from Joanna Sheen’s Messy Rabbit Thatched Cottage Extra Bits set, inking up only the “roof” section to create a harbour wall. I added the details of the foaming surf using a white gel pen. These are super cards Margaret! Since she doesn't have a blog you can leave her some love on this post. If you don't have a blog, but would like to enter our challenges just email me your pictures and I will post them for you just as I have done for Margaret. amazing scene have you created. 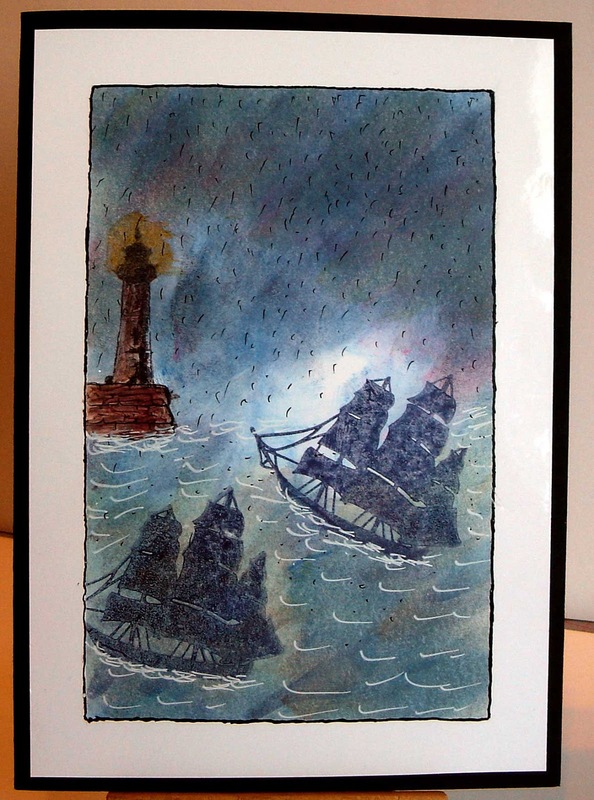 the second card with the boats have a really a stormscene!! Margret your cards are just beautiful and colorful.